Your home is the biggest investment you will ever make and taking good care of it can save you thousands of dollars in the long term. While you take care of the obvious things, these easy maintenance tasks could be slipping under your radar. 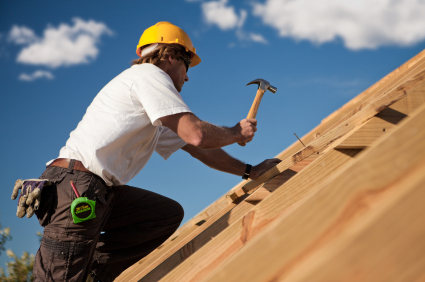 Taking a couple of hours to maintain your home every month will be well worth the effort. 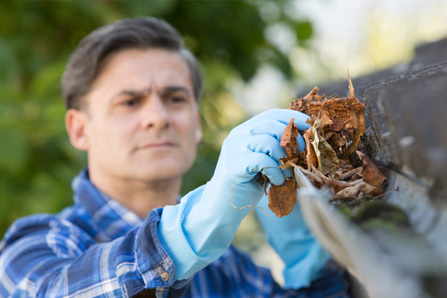 Cleaning out your gutters should be a regular chore for you. Clogged gutters will mean that water isn’t safely removed from the home and may cause damage to walls and roofing systems. Check to see if gutters are damaged or have pulled away from the fascia. Damaged gutters will cause water to accumulate or drip into roofs and walls where it can result in mold or mildew. 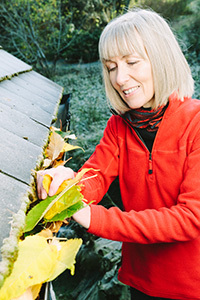 Ensure that your gutters are cleared before the first snow. 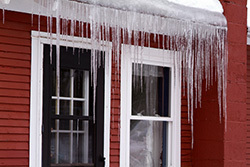 When snow melt is not allowed to drain effectively, the water can ice, creating an ice dam which pushes up under the shingles causing damage to the roof. Sedimentary deposits from your water collect at the bottom of your water heater. This clogs up the system and not only prevents your water heater from running at optimum efficiency, it may reduce its longevity. Drain your water heater annually to remove the sediment. This is a very easy task; simply turn off the power or gas supply to the water heater. Turn off the cold water supply and look near the bottom of the heater. Locate the drainage valve and attach a hose. Turn on the water and open the drainage valve. Use the hose to direct the flow to a nearby drain. Allow the cold water supply to run for a minute or two to flush the heater out. When the water runs clear, turn off the tap and remove the hose. Close the drainage valve and turn the cold water back on. Flick the power switch back on or turn the pilot light back on for gas appliances. Furnace maintenance not only extends the life of the appliance, but it also ensure that it is functioning at its most efficient. That means taking the time to clean it or getting a professional to do so at least once a year will save you money. Check the air filters regularly and replace as needed. Consult the manufacturer’s instructions to see how often filters need to be changed. Purchase reusable filters which can be cleaned to save even more money. Clean vents and ensure that they are free from obstruction. Clean ducting and chimneys and inspect the outside flue to ensure that it is not clogged. Use a vacuum cleaner to remove dust from the coil. Take off the air handler cover and inspect the blower belt. A cracked or loose belt can reduce furnace efficiency. A few drops of oil on moving parts will also improve efficiency. 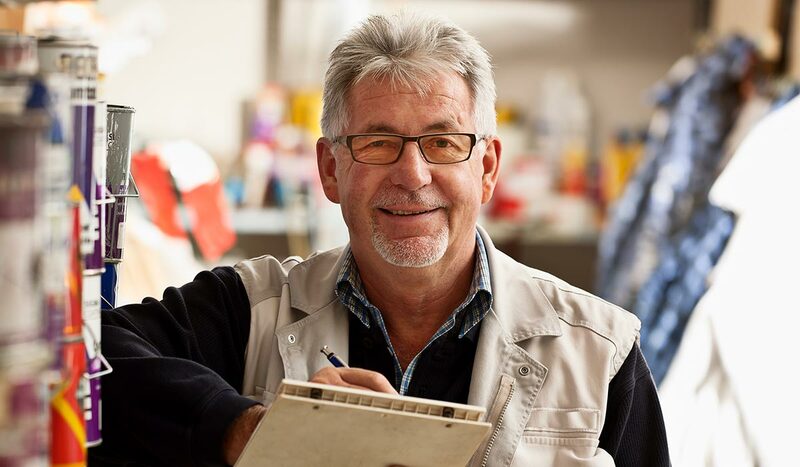 Just a couple of hours of maintenance every few months can really help your home to work optimally for you.